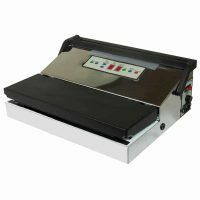 The Weston Pro 1100 is one of the highest quality Vacuum Sealer you can find on the market today. Because the quality is so much higher it's probably a lot more money than most people are planning on spending. If this is in your budget, absolutely choose it you won't regret it. 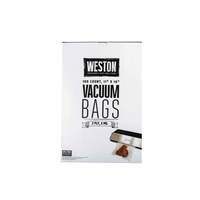 If you are looking for something a little more budget conscious try the Weston Pro Advantage. Easy to read and use control panel. Expensive compared to other manual vacuum sealers. 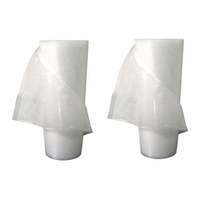 Accessory hose is an add on purchase. $299.99 Current Price - YOU SAVE $45.00. 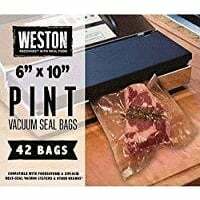 From a performance and features standpoint the Weston Pro 1100 is far and away the best Vacuum Sealer we reviewed. This model has a full metal housing compared to the polycarbonate plastic found in other models. It has on-board bag storage making it extremely convenient to use. The controls are located on the top of the lid, and are laid out in an easy to read manner, and clearly labeled. It can seal both wet and dry food items, and there's a pulse mode for delicate foods. The most important thing to realize about this model is that it's a Professional Grade Vacuum Sealer the quality, workmanship, and durability of this model is dramatically higher than almost everything else we reviewed. The downside of looking at a high quality Vacuum Sealer like this one is the price, at $299.99 it was one of the most expensive models we reviewed. A second issue about this model to be aware of is the size, it's 10" x 16" x 18" and weighs more than 10 pounds, so it's going to take up a lot of countertop real estate and not be that easy to move around. 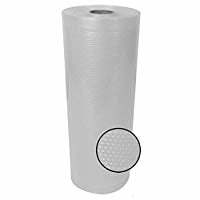 The vendor says this is a "automatic sealing" model, true automatic sealing models grab the bag and automatically seal them, this model requires that you put the bag on the sealing bar and press a button, we don't consider that "automatic sealing" at all. We also don't like that an Accessory Hose is an additional purchase. The last thing to be aware of is this model is very noisy, not only was it noisier than average, it was one of the noisiest models we reviewed. If we're being honest, this is a lot more vacuum sealer than most people are going to need, and it's probably outside of what most people had budgeted for a Vacuum Sealer. If you've had other Vacuum Sealers in the past and had problems with quality, look at this model or other Weston Vacuum Sealers. 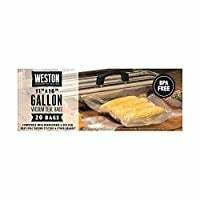 If you're looking for something that's a bit more affordable try the Weston Pro Advantage or the FoodSaver FM5200 both have a much more budget friendly price. 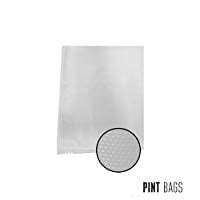 Comes with starter kit which includes: &lpar;1&rpar; Starter bag roll 11" x 10&apos;. Extremely high quality product, durable and built to last. Seals only dry food or frozen liquids. Has pulse mode allowing you to seal soft or delicate foods. Has built in storage for food bag roll. 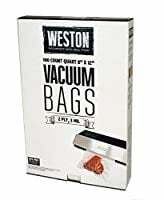 Has manual bag sealing giving you more control. 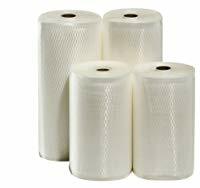 10" x 16" x 18" 18" x 10" x 6" 10" x 18" x 10"
$49.98 - $0.76 Per Sq. Ft.
$27.44 - $0.83 Per Sq. Ft.
$32.99 - $0.73 Per Sq. Ft.
$23.48 - $0.37 Per Sq. Ft. The Weston Pro 1100 is one of the highest quality vacuum sealers we reviewed, it has all the features anyone is going to need, unfortunately that quality doesn't come cheap, this is also one of the most expensive models we reviewed as well.